The Newest Rant: I Greatly Enjoyed the ToyMan Show Yesterday! 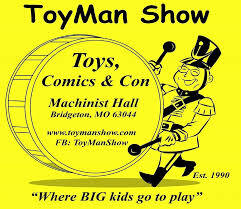 The ToyMan Shows are awesome!! Been going to nearly every shows for the past two years. Thanks for pointing-out my error, I have corrected it!